Traditional metal Mezuzah covers - Curved design and sandblasted letters. The scroll is locked in by a matching screw cover from the top & bottom. Available in 4 sizes and 6 colors, select your choice from the options below. 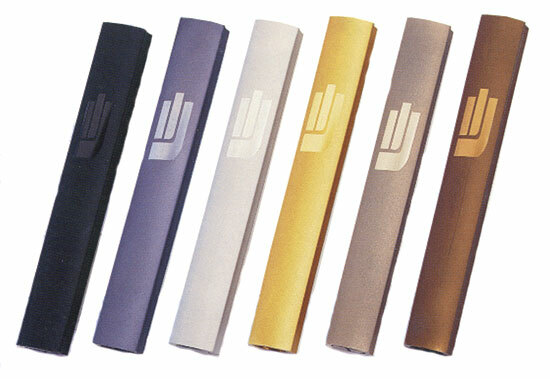 You can purchase "Mezuzah Scrolls" along with these Mezuzah covers, see the options below. Please contact us for quantity discounts.